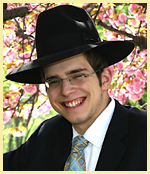 Parshas Bereishis 5779 – Make it O’Fishel! On each of the six days of creation [with the exception of the second day, see the commentaries as to why,] the Torah says “and G-d saw that it was good.” However, at the end of the sixth day, the passuk says “And G-d saw all that he had made and behold it was VERY good.” What is the reason for this discrepancy of “VERY” good? G-d did not create everything at once; rather, he made the world and it’s inhabitants gradually, and after each day, he was happy with what he created. But at the end of the week, G-d LOOKED BACK at the WHOLE week of creation, and G-d saw all that he made and it was very good. Perhaps the Torah is teaching us an important psychological lesson. When one embarks on a goal, like overcoming an addiction or working on a character trait, it takes time to make significant progress. Every day you work at it and make some progress, but it is slow. An important key to success is to take the opportunity after time has passed [a week, a month…], to look back at all that you have done, and then you will realize that you have truly accomplished a lot. That will give you the inspiration to keep pushing forward to the ultimate success. [Editor’s Note: As I was reviewing Shaya’s Dvar Torah, it struck me that this is a perfect lesson for us. We have just finished the Yom Tov of Succos, which is followed by Simchas Torah. Simchas Torah is the completion of the reading of the Torah which was read Parsha by Parsha starting with this week’s Parsha. I once heard that one reason why Isru Chag is so special is because it is a day to reflect on what we gained from the past Yom Yov and what we will take with us for the coming year.